During the 1930s and 1940s, painters Grant Wood, Thomas Hart Benton, and John Steuart Curry formed a loose alliance as American Regionalists. Some lauded their depictions of the rural landscape and hardworking inhabitants of America’s midwestern heartland; others deemed their painting dangerous, regarding its easily understood realism as a vehicle for jingoism and even fascism. Cultivating Citizens focuses on Regionalists and their critics as they worked with and against universities, museums, and the burgeoning field of sociology. 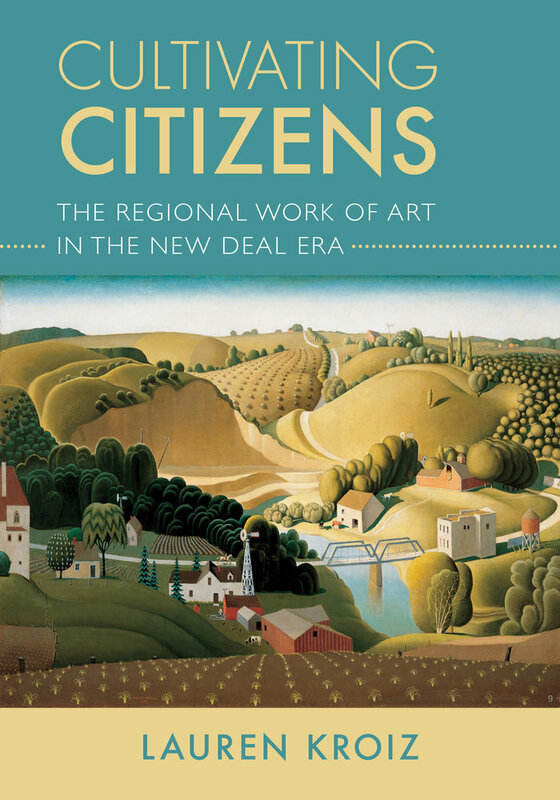 Lauren Kroiz shifts the terms of an ongoing debate over subject matter and style, producing the first study of Regionalist art education programs and concepts of artistic labor. Lauren Kroiz is Associate Professor of Art History at the University of California, Berkeley, and the author of Creative Composites: Modernism, Race, and the Stieglitz Circle.